I'm making images using Pixilang, PixiTracker and others. If you like, please see this. Thank you! 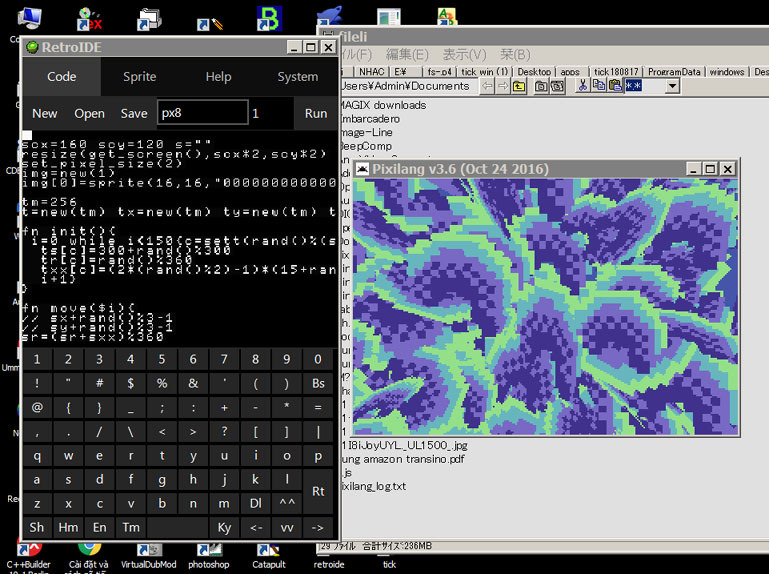 I like the functions and grammar of Pixilang very much. It has the ease of use I'm seeking in mobile work.